Bath bombs are no longer just for the bath! Now you can take a shower and use a bath bomb too! 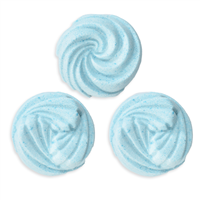 This "body bomb" fizzes when water is added allowing a creamy foam to emerge. 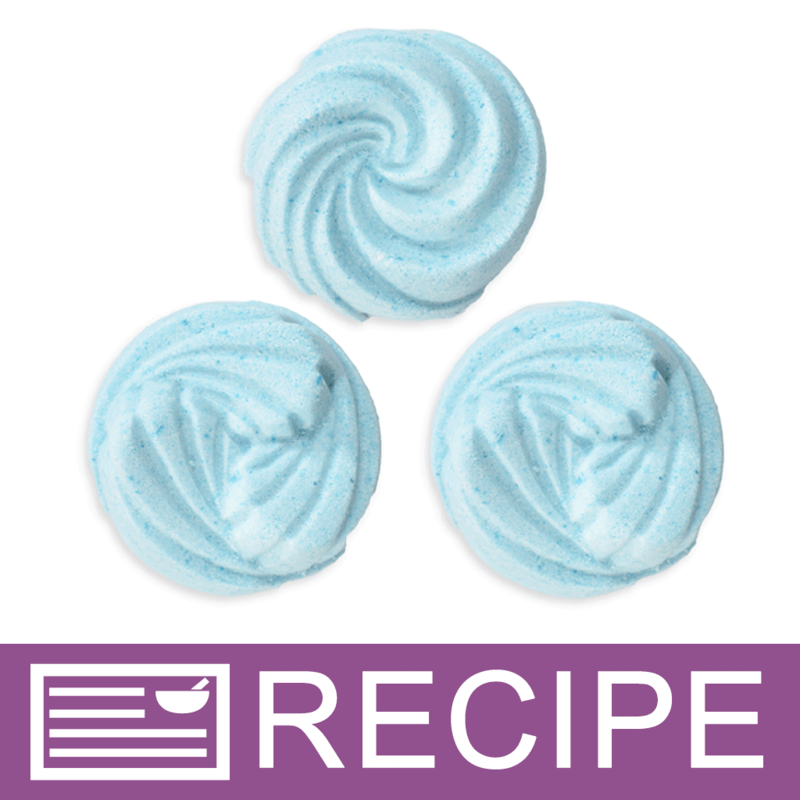 Use this foam to wash with leaving a silky, soft feel to the skin. This "body bomb" is similar to a popular brand currently on the market. Break the body bomb in half and get twice as much foamy fun. To large mixing bowl add 3.50 oz. Baking Soda and 2.0 oz. Citric Acid. If necessary, break up any clumps in the mixture. Add 2.30 oz. Bubble Cake Hardener, 0.75 oz. Arrowroot Powder and 0.80 oz. Lathanol. Whisk ingredients until well blended. Set aside. If Coconut 76 oil is solid, place bottle in hot water until completely melted. To dry mixture, add 0.20 oz. Coconut 76 Oil, 0.30 oz. Bubble Up, 0.20 oz. fragrance and 0.20 oz. Isopropyl Myristate. Mix well with gloved hands until completely incorporated. 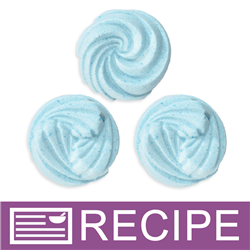 Add 10 drops of Ocean Blue liquid dye to mixture and blend in well. Add up to 40 drops total for darker shade but more than this will add too much liquid to the mixture. Place plastic mold on cookie sheet. Fill all five cavities evenly with the mixture. Let completely harden for at least two hours or preferably overnight. Remove from mold and set aside. Repeat above steps to make second set of body bombs, if desired. Package one body bomb in cello bag and tie with raffia or package as desired. To Use: Hold body bomb in hand and add small amount of warm water. Bomb will start to fizz up and create a creamy foam that is used to wash with. Entire body bomb should be used per shower. If desired, break in half and use one half per shower. Ingredient Label: Baking Soda, Potassium Bitartrate, Citric Acid, Sodium Lauryl Sulfoacetate, Arrowroot Powder, Fragrance, Cocamidopropyl Betaine, Coconut Oil, Isopropyl Myristate, Blue 1. "What can I use in place of the isopropyl Myristate?" Staff Answer The isopropyl myristate is added to give the foam a more silky feel. You could try adding silk amino acids, honeyquat or one of the new LuxGlide products. "Hello, These look great! Is there something else I can substitute for isopropyl myristate? I have everything else as I make bathbombs, creams, lotions, soap and shampoo bars. Thanks, Nancy"
"Can I use mica instead of the stain glass colorant? Does it matter what fragrance I use ?" Staff Answer You can use mica instead of the stained glass. But, the stained glass colors add liquid to the mixture that you will need to replace. If using mica, you can increase the fragrance to 0.30 oz. per batch of 5 body bombs. You can also use another fragrance.